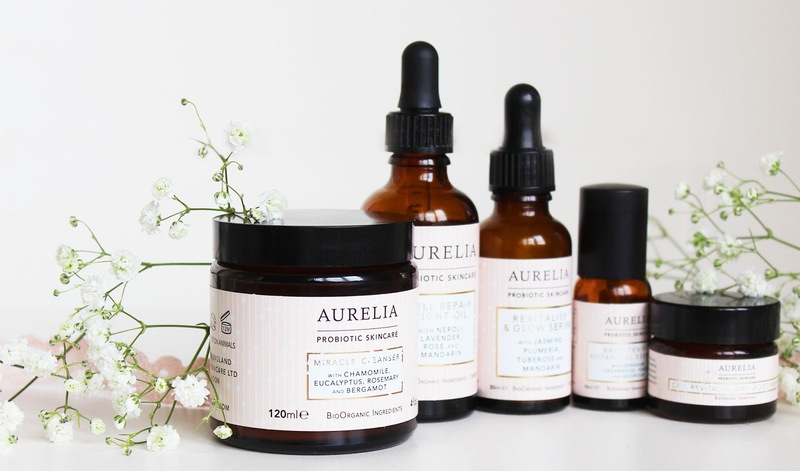 Skincare that pushes the boundary of science and nature, contains ground breaking probiotics, strives to help your skin repair itself and maintain it's natural equilibrium and a passion for self care and mindfulness? 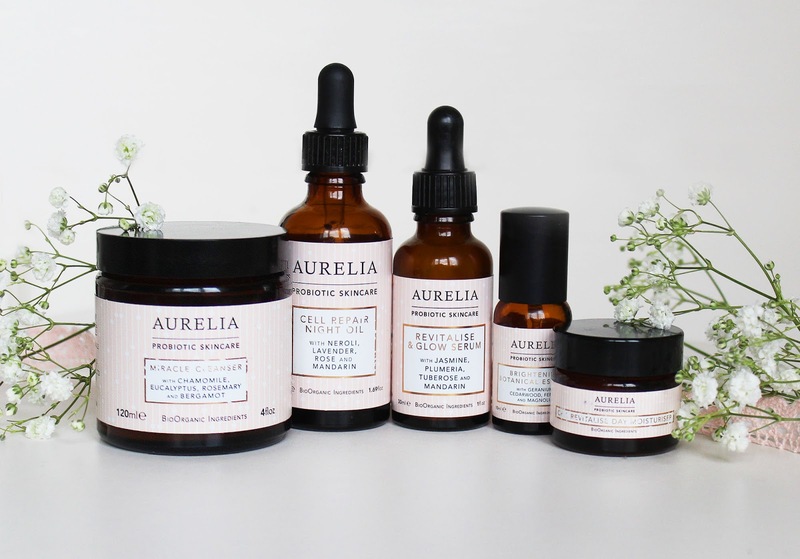 Let's talk about Aurelia. I was first introduced to this cleanser back in January, when I won it in a hamper from Love Me Beauty. It is a no-rinse cleanser, so is really easy to use! You just wipe it off with a muslin cloth or a flannel. I really like the bamboo muslin that comes with it, and have even purchased a pack of 7, but a flannel will do the job too. Personally, I like my morning cleansing massing, rinsing and flanneling, but this is perfect for when I'm on the go, pushed for time or travelling. I actually prefer it to a lot of my other cleansers in the sense of how it makes my skin look and feel, but I really do like my AM cleansing routine and find it very refreshing. However, this cleanser makes my skin look plumper and firmer (albeit there isn't a lot of sagging, I'm only 20! But it looks so healthy, you know? ), and look so glowy! 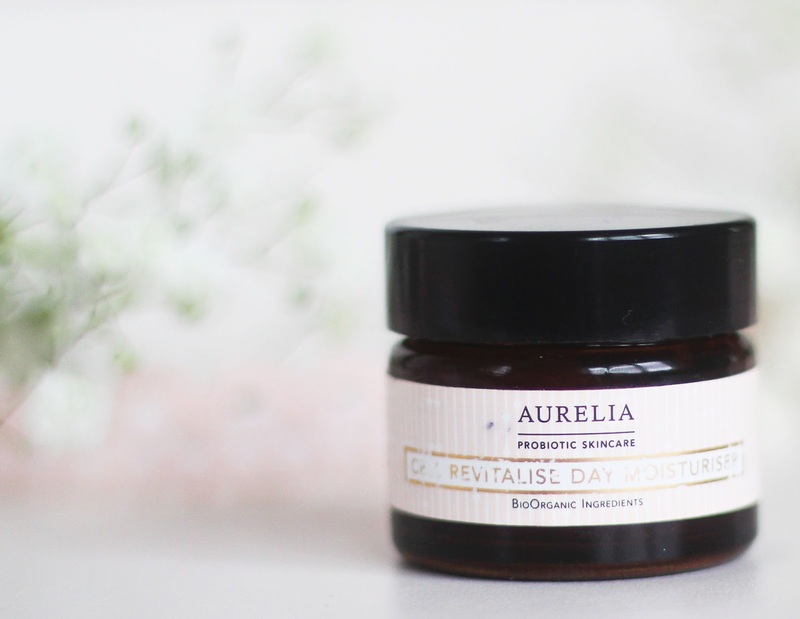 My face is left feeling soothed and hydrated all day long. 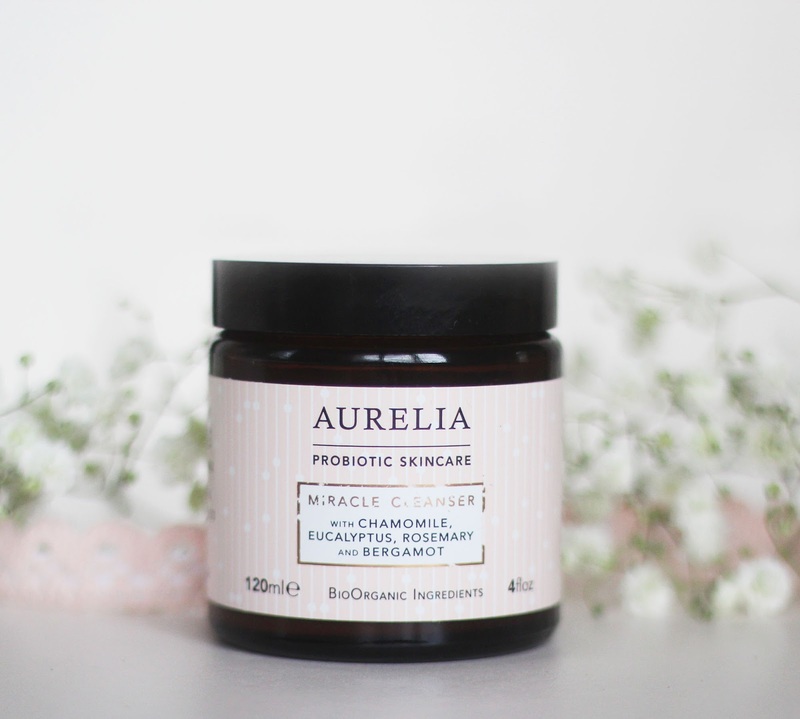 One of my favourite things about this cleanser is that it smells absolutely delicious, on more than one occasion after using this I've been asked what perfume I'm wearing - and it was this cleanser! It contains essential oils including Chamomile, Rosemary, Bergamot and Eucalyptus which gives the products its incredible fragrance. Not only do these ingredients smell amazing, they're good for your skin too! For example Chamomile is anti inflammatory and Eucalyptus has decongestant properties. 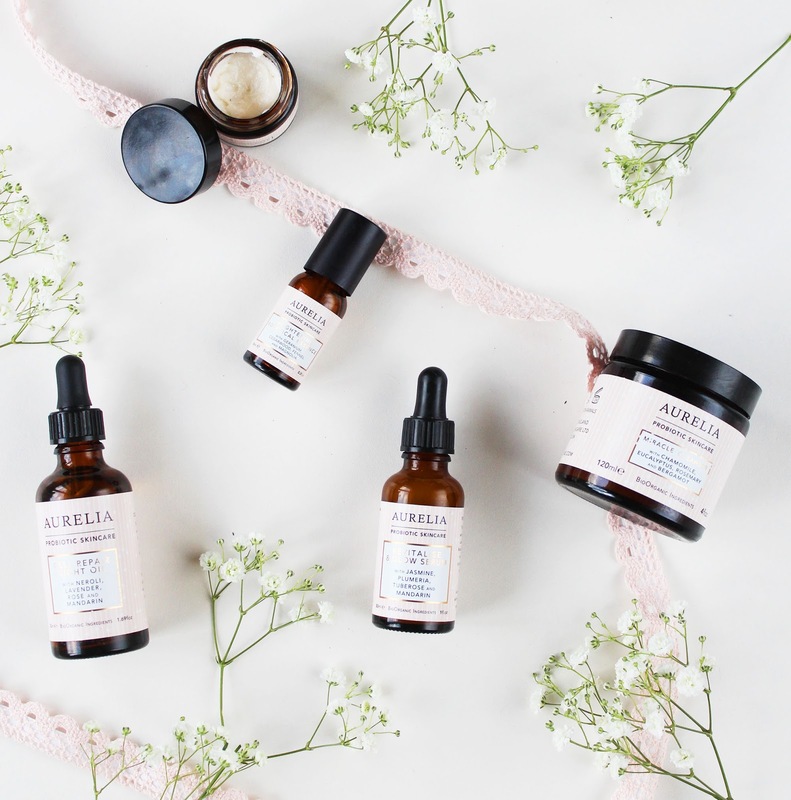 Other skin loving ingredients include Hibiscus, an anti-oxidant dubbed "natures botox", Mongogo Oil, which contains Vitamin E and fatty acids to aid skin regeneration, and Kigelia Africana, which has firming properties. 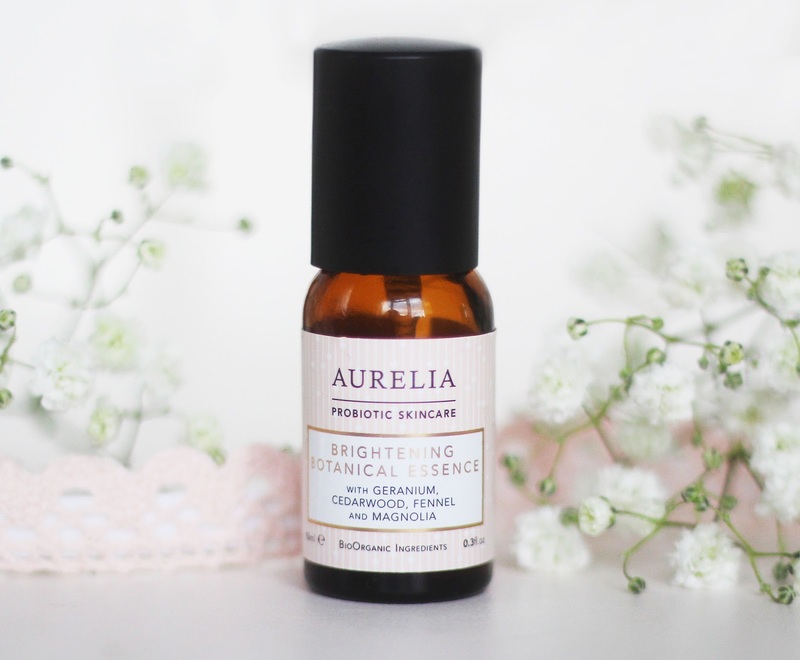 This facial mist is rich in probiotics, and I use it after cleansing to give my skin a boost. It contains volcanic water, magnesium salts and quartz crystal water which helps to detoxify and brighten all skin types. I find it really does give my skin a long lasting, lit from within healthy glow. Plus, the fragrant blend of essential oils - lavender, magnolias, lemongrass, cedar wood and orange, to name a few -helps to uplift your mood and energise you for the day ahead. I love this serum! 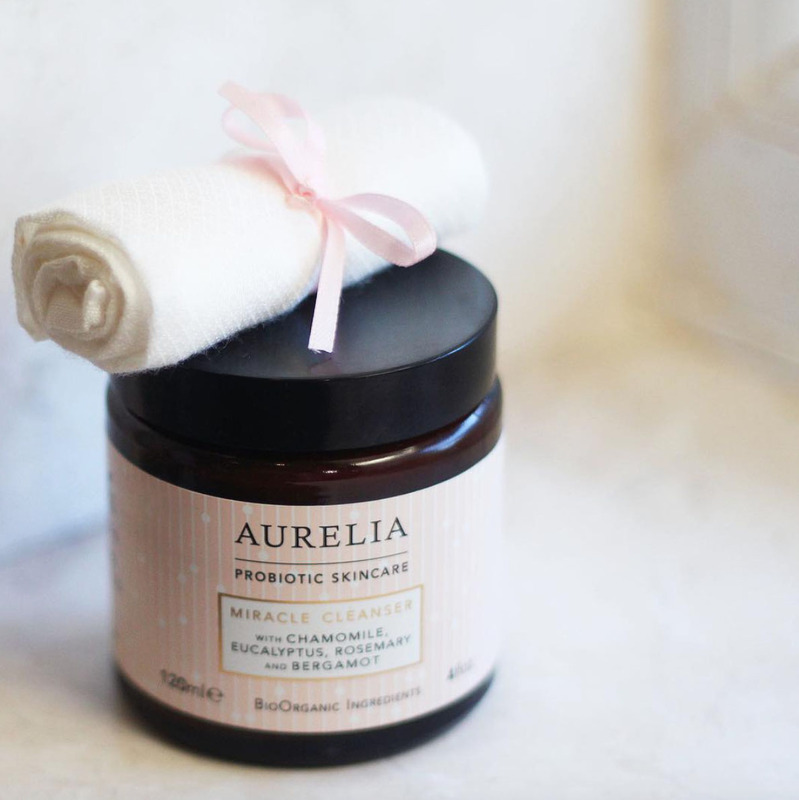 I adore its thin, milky texture as it's easy to apply, easily absorbed and perfect for layering with other skincare products. 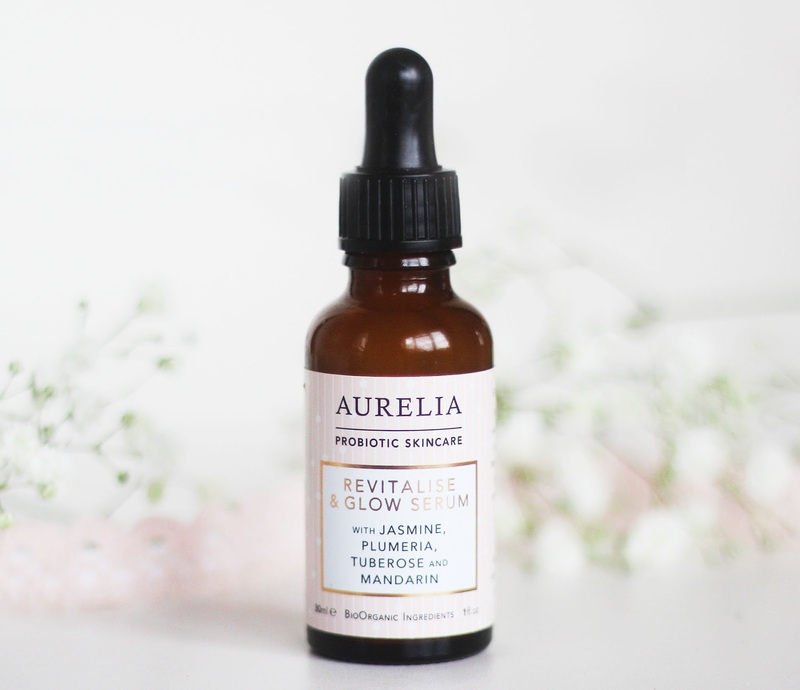 I've found it's really helped to even out my skin tone and give my skin a beautiful, youthful glow. The effects are immediately noticeable, too. This is like a treatment version of the Miracle Cleanser, containing the same key botanicals Hibiscus, Mongogo Oil, Kigali Africana as well as Baobab, a 'super fruit' rich in omega. 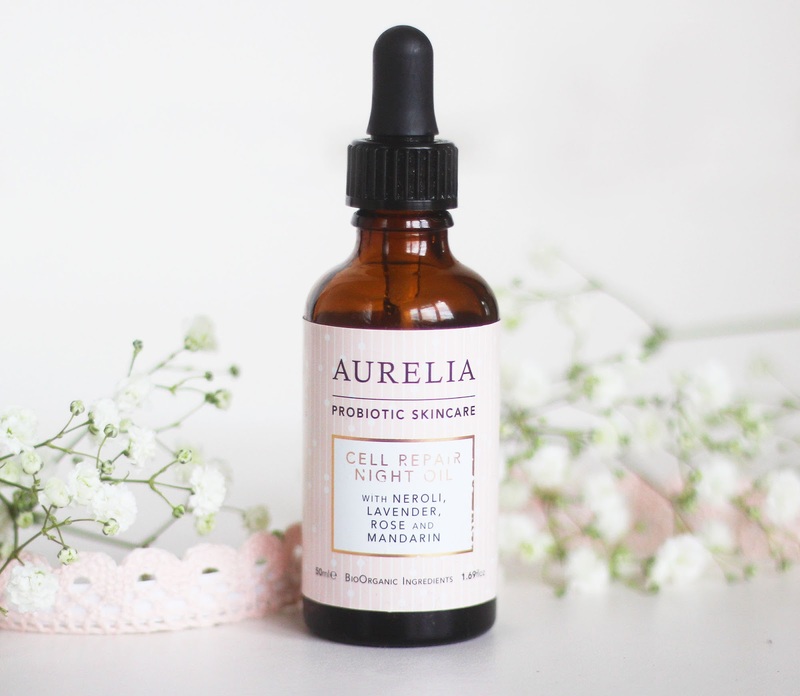 Like all other Aurelia products, I adore the smell of this serum! It contains essential oils of Tuberose, Jasmine and Mandarin which gives it the most uplifting, beautiful fragrance. I have been loving this moisturiser. It's got a very soft texture, you can tell it's rich in oils. That being said, it's not oily once it's applied to the face and doesn't leave a film, so I wouldn't not recommend it to someone with oily skin. It almost melts once it comes into contact with your skin, and absorbs so quickly. It makes my skin feel ultra hydrated and incredibly soft. 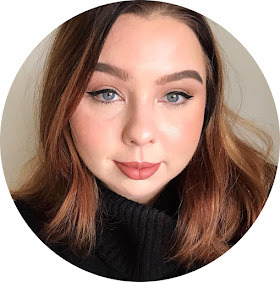 My skin always looks and feels really pillowy and plump after application, with a fresh, dewy glow. It contains Baobab, Omega 3, 6 & 9, Kigali Africana, Hibiscus, Mongogo Oil and Borage Oil, which is a rich source of fatty acid GLA which locks in moisture. The high level of peptides smooths the skin as well as hydrates it, so this is perfect for under make up. The only thing I will say about this moisturiser though is that it did kind of melt in the heat, so be careful how you store it. That's not to say that it being more watery in texture means the ingredients are less effective, though. I love everything about this oil! I love the way it smells - you get a strong fragrance of lavender which I find is perfect for winding down in the evening. After using this for about 2/3 consecutive nights, I find that my skin is so much brighter and my skin tone is dramatically more even. Most importantly, scars/stubborn marks/dark spots begin to fade. This is unsurprising - the ingredients list includes Mongogo Oil, Omega 3, 6 and 9, Hibiscus and Kalahri oil, which has rich in fatty acids. 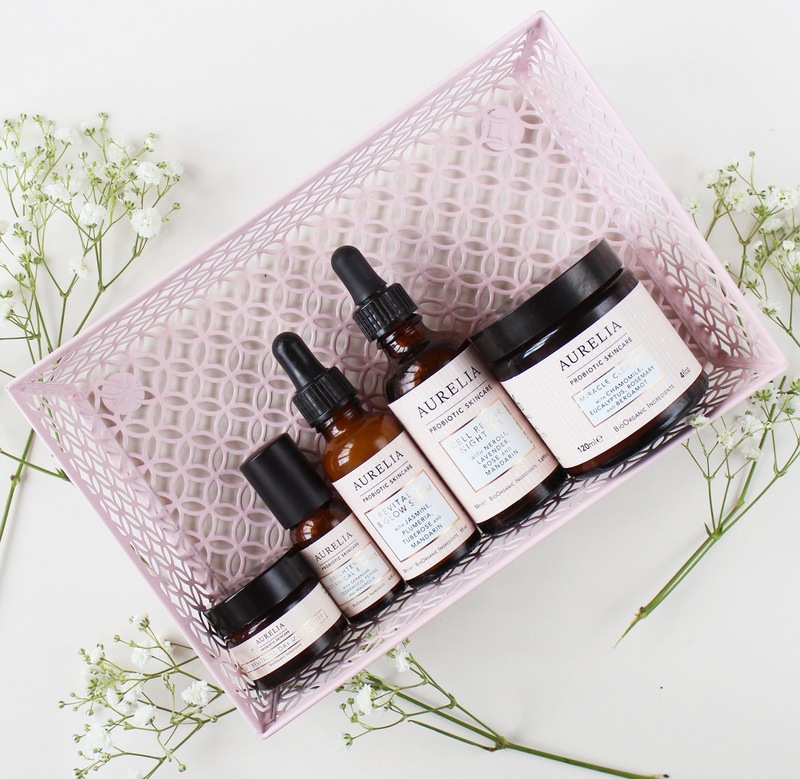 I love everything about Aurelia, from the aesthetic of the packaging to the ethos of combining science and nature to produce beautiful, effective skincare. 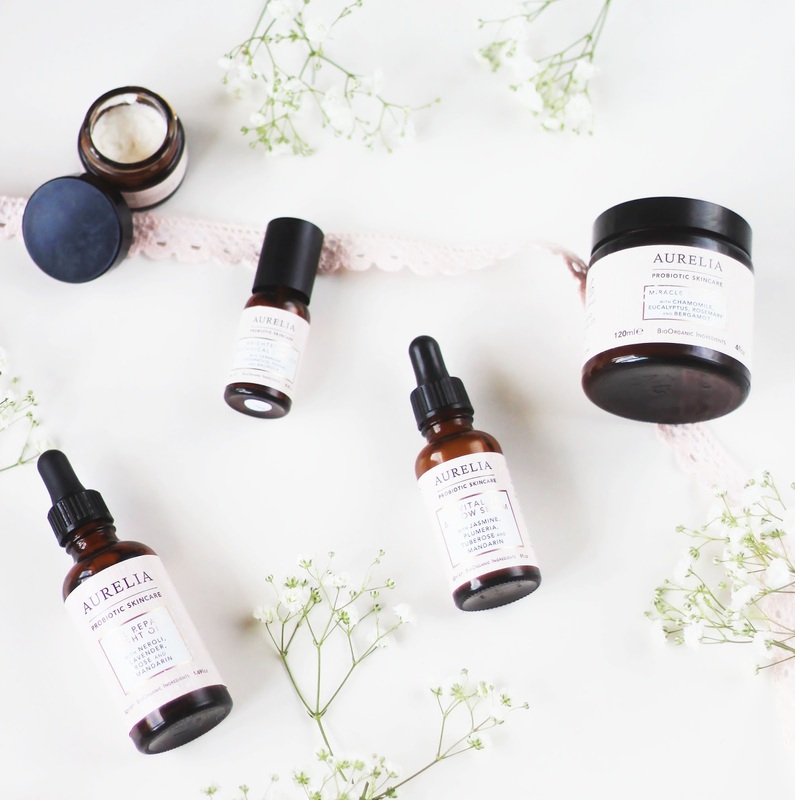 To top it off, Aurelia is totally cruelty free! It's also free from synthetic fragrances, paragons, mineral oils and sulphates, as well as other harmful ingredients. You can't go wrong with this brand at all, in my experience. Check out their website here. Wow! Your photography is so beautiful! 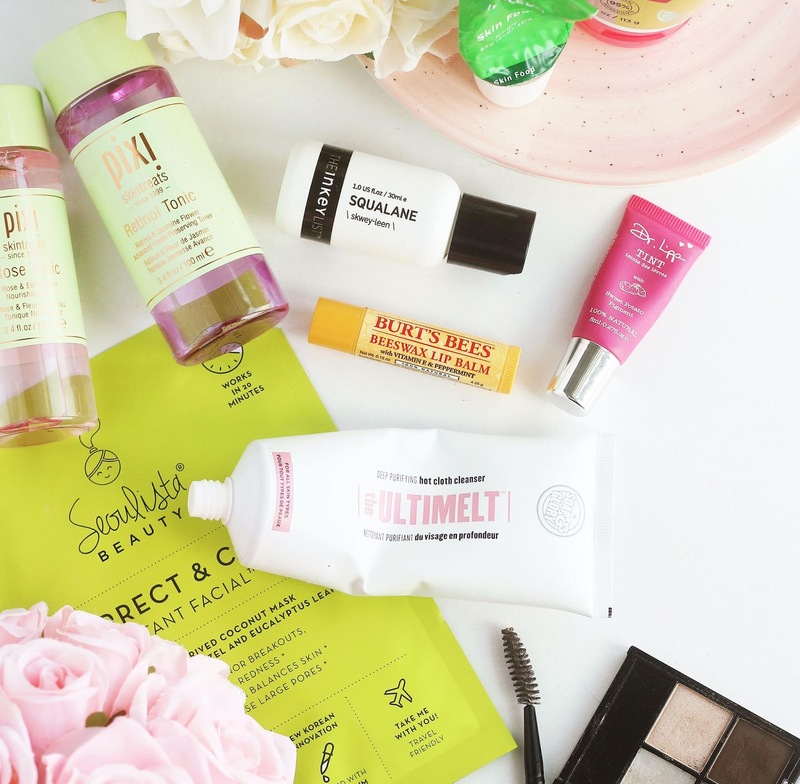 I'm really keen to get my hands on some new beauty products and this post couldn't have come at a better time! They all sound lovely. For example, vegetable plants take up small patches of land and are easy to grow while vine crops, such as cucumbers or watermelons require larger patches of land and are more difficult to handle compare to vegetable plants.